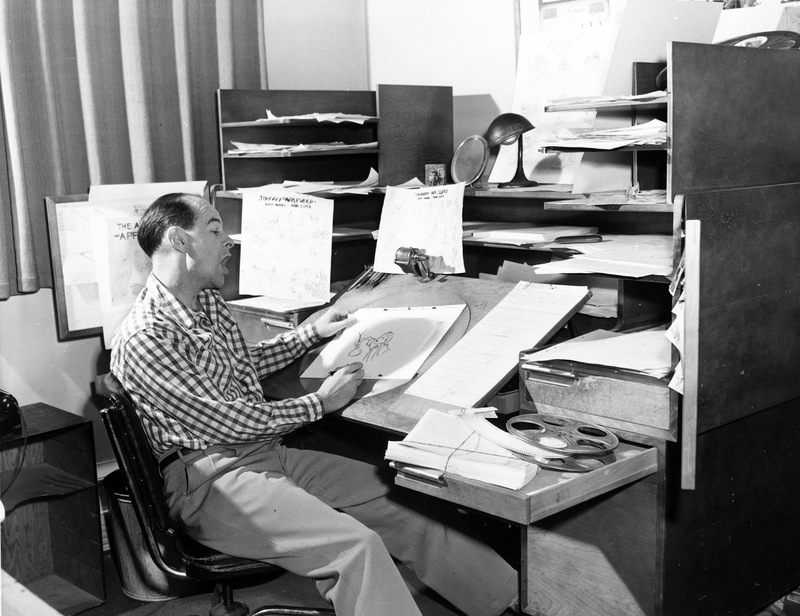 We are in Ollie Johnston's office, around 1947. 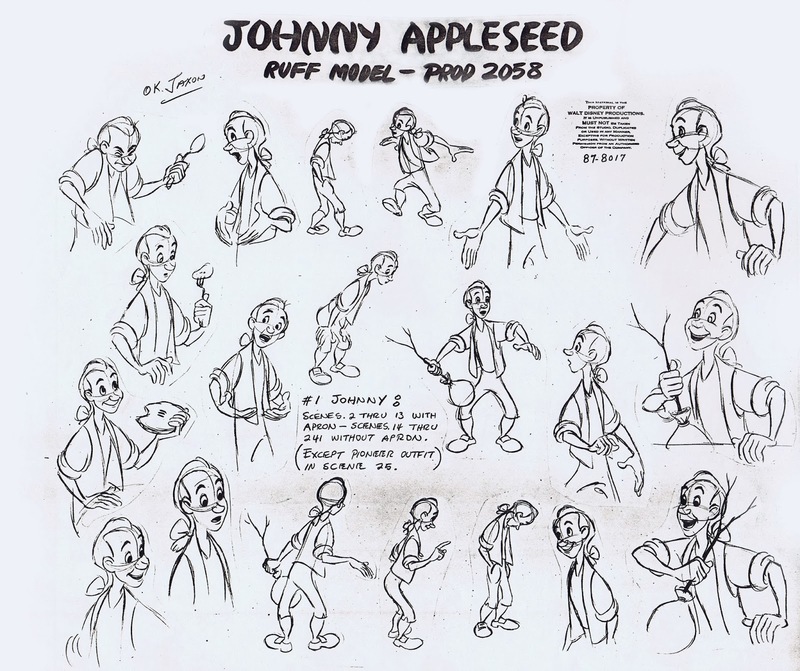 He is working on the character of Johnny Appleseed, who was the original "man who planted trees". 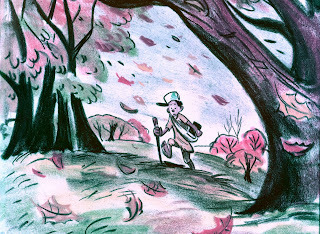 This is a lovely short which was part of the feature length film Melody Time. 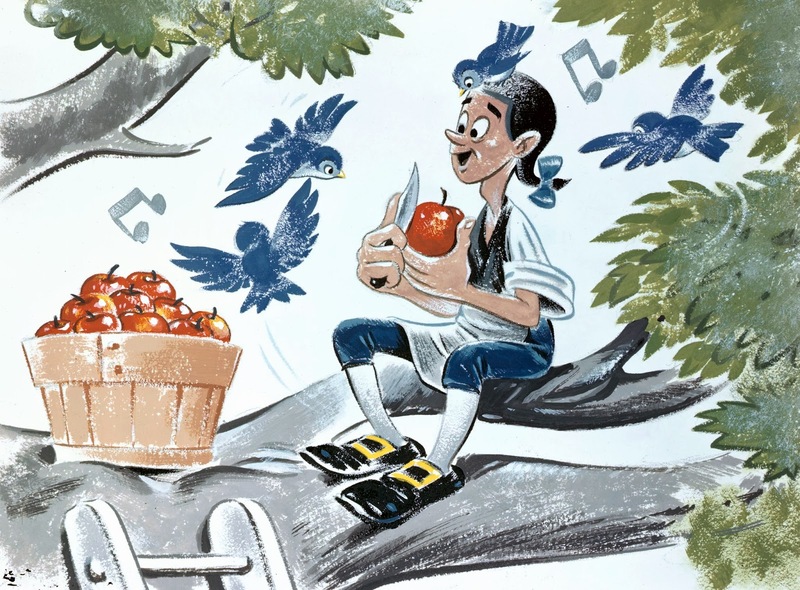 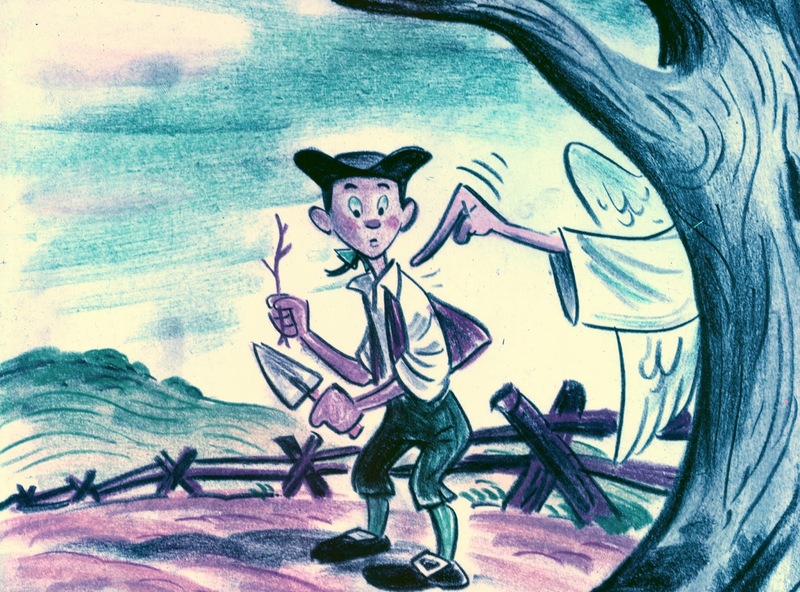 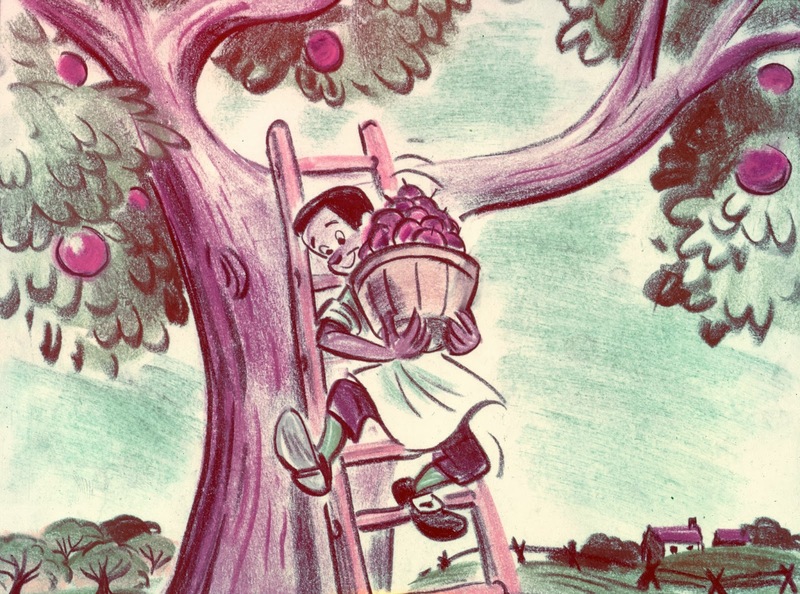 It tells the story of American folk hero John Chapman (1774-1845), who was on a mission to plant apple trees around the Ohio River region for many decades. 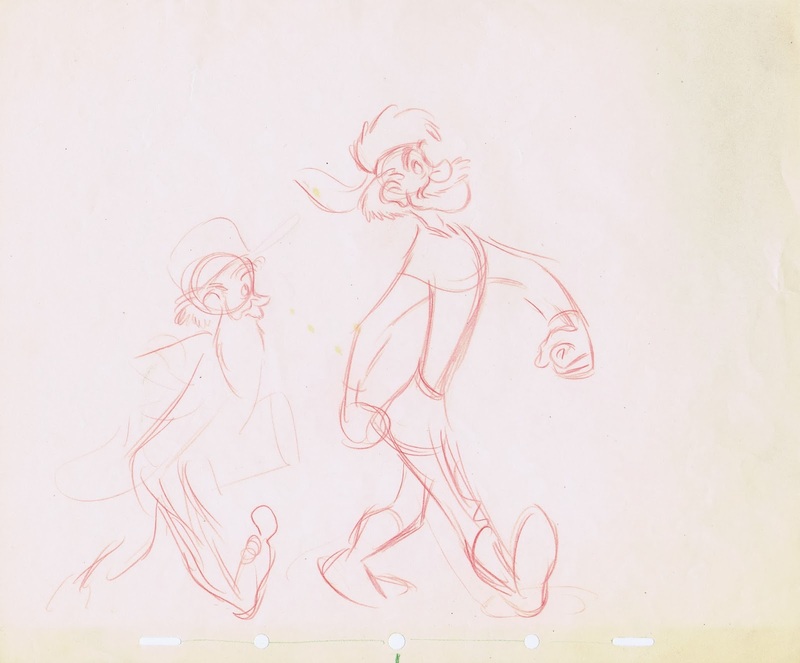 Ollie animated the opening section of the film, where we first meet Johnny. 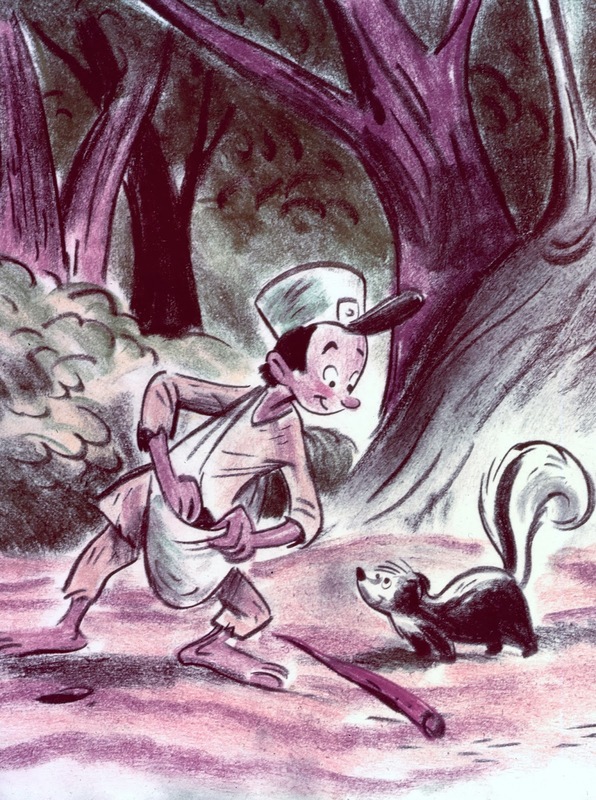 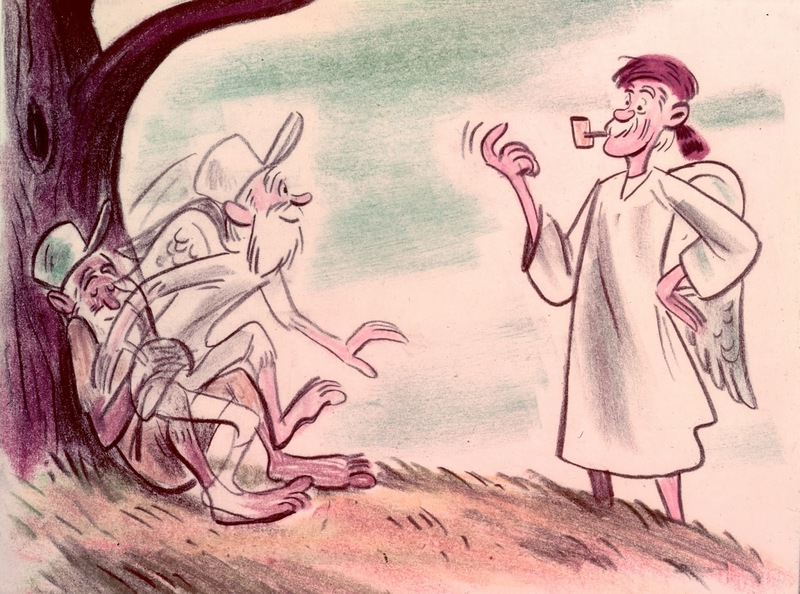 Eric Larson drew scenes with Johnny planting seeds and befriending wild animals in the forest. 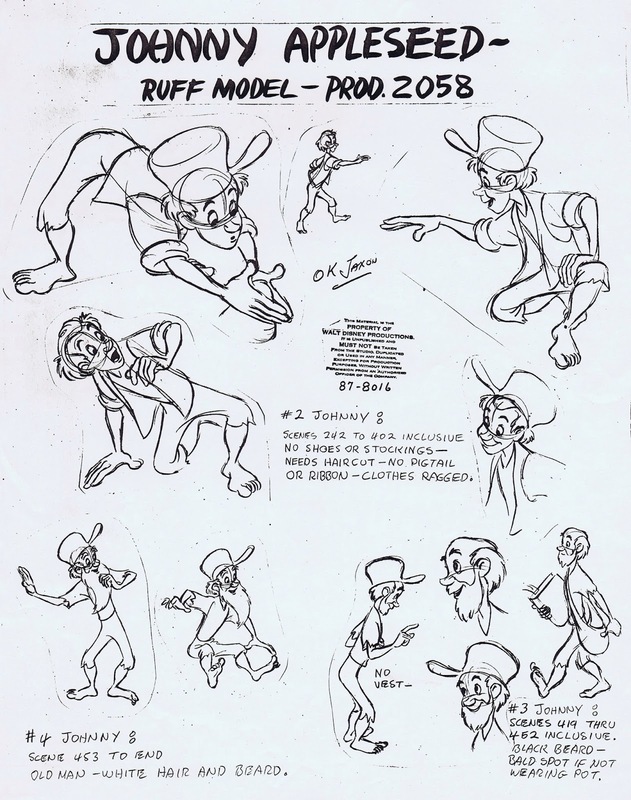 Milt drew these rough model sheets to establish the look of the character. It turned out to be one of his least favorite assignments. He explained years later that to him Johnny was just a mild mannered guy without any strong emotions. Not much fun to animate. 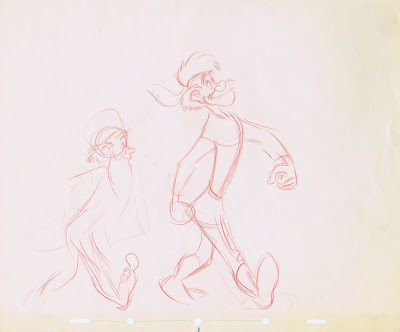 A beautiful unfinished staging sketch by Milt. 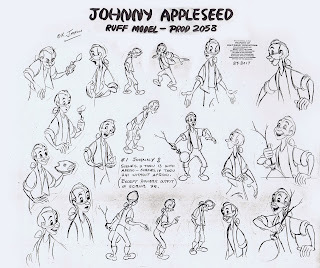 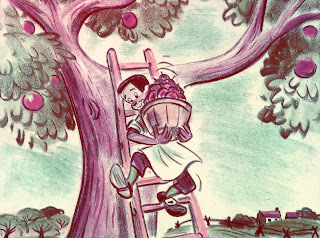 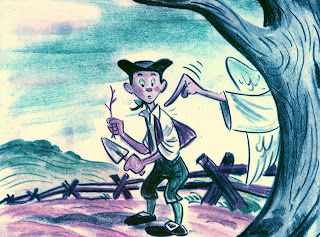 Old Johnny is following his Angel into a pink apple blossom sunset at the end of the film. Vis Dev art by unknown artist and story sketches (by Joe Rinaldi). 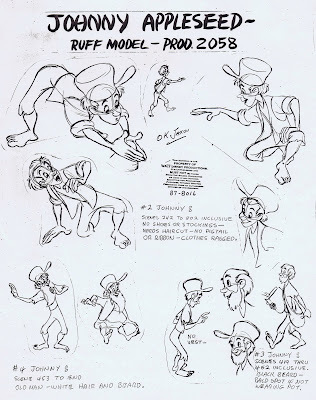 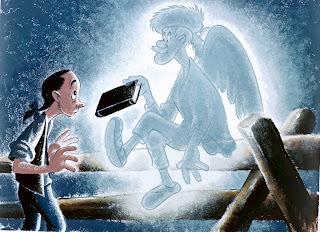 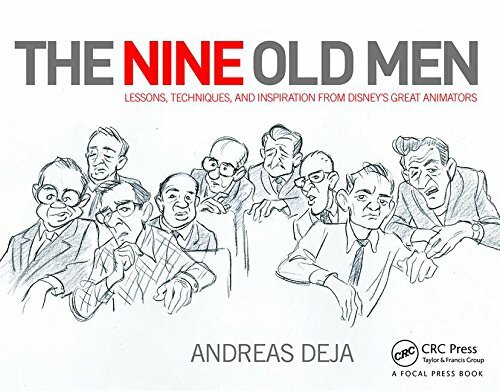 What a beautiful inspiration for the animators to bring their characters to life.